During my 5 years back in Canada, I have been faithful to one beer brand – King Pilsener. 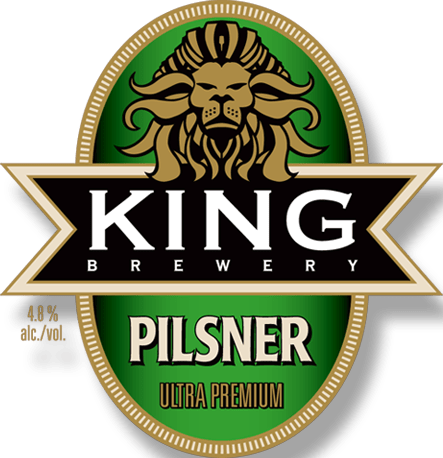 King was a microbrewery in Nobleton (next to King City, north of Toronto) that had a very simple idea: Buy the best equipment and ingredients from the Czech Republic, and make a pilsener as good as or better than Czechvar, Pilsner Urquell and Staropramen. They did a damn fine job of it. Available in bottles with nicely designed labels, King Pilsener gave me the best of both worlds – a local Canadian beer that tasted like my favourite premium European brands. It also came in bottles, which in my opinion deliver better beer. Bottles are better for pouring into a glass or drinking directly; cans are good to ensure cheaper shipping, or to reduce risk of breakage near swimming pools and cottage docks. For 5 years I probably bought a case a month, or about 288 bottles of King a year. Over the summer of 2015, I struggled to find my King beer. A few times I went into various local Beer Stores and every time it was unavailable – once they even tried to sell me an out-of-date case. Finally in September someone broke the news to me. Provincial Beverages (who are the owners of King but also of Thornbury, a better-known cider company 100km north of Nobleton) decided to put all their drinks under the Thornbury brand. Ok, but did they change the beer? No it’s the same beer. I was so relieved. But they changed the name. Now it’s called Pickup Truck. Cue the beginning of my sad face. And it’s only available in cans. Cans? Pickup Truck? I went online to read how this could ever have happened. Apparently after the takeover, Provincial Beverages were not impressed with King sales. Research showed people were ignoring the nicely designed labels and not even trying the beer. So they switched everything under the better-known Thornbury brand and apparently sales have improved. The Thornbury name may attract more newbies but the Provincial people have failed in their application of the magical value formula that should be considered by any marketing person when making a rebranding decision. Rational Benefit before was a premium Czech Pilsener in a bottle. Points went down significantly when they moved to cans-only. All I’m left with the new one is the same liquid as before, but with a metallic aftertaste. Emotional Benefit was the simple, classic label and name for me. I drank King. I was the King. The lion looked great. The change to “Pickup Truck” reduced these points a lot. I do not understand what a pickup truck has to do with ultra-premium locally brewed Czech lager. I do not feel comfortable with this beer anymore. Price is the same everywhere because we live in alcohol-communist Ontario. What would I have recommended? I understand using the Thornbury name and agree with that move. If I was the brand guy I would have recommended no cheesy names like Pickup Truck (just use descriptive naming like Thornbury do with their ciders), and don’t make this a can-only brand. Overall, value has gone down irreparably for me. I cannot be a Pickup Truck drinker, especially not from cans. The good news is that I do not drink beer at home anymore, and combined with a better exercise regime, have returned to my university-age weight and physique. Good article, George. I agree that “Pickup Truck” is an awful name for anything besides pickup trucks. The new packaging is not kitchy/fun enough to match the name either, so the brand is now stuck in limbo. As an aside… cans may give you the impression that there could be a metallic taste, so never drink out of one. The interior has an inert coating, so that taste is usually from your lips touching the can (i.e. always use a glass).